Through over nine decades, the firm has maintained a tradition of providing effective legal services of the highest caliber, earning its reputation as one of the premier law firms in Virginia. Our firm came out of the early 1900’s law practice of Edward R. Baird, Jr., an admiralty attorney working in Norfolk and Portsmouth. Mr. Baird was born in Essex County, VA in 1867. In 1923, after about thirty years of practice, Mr. Baird joined with two other maritime attorneys, one from New York and one from Washington, D.C., and formed the new law firm Baird, White & Lanning, with an office in Norfolk. The main practice areas in the early years were admiralty and railroad law. In 1950, the leading attorney in the firm was Mr. Baird’s son, Eddie (also known as Edward R. Baird, Jr.), who had joined the firm in 1933. Three other UVA law graduates joined the firm as follows: Francis N. Crenshaw (1950), Guilford D. Ware (1952) and Walkley E. (“Johnny”) Johnson, Jr. (1960). During this time, the firm's offices were located in the National Bank of Commerce Building on Main Street in downtown Norfolk. The firm continued its maritime and railroad practice, but also did significant work for the Norfolk Redevelopment and Housing Authority. In 1962, the name of the firm became Baird, Crenshaw & Ware. In 1968, the firm became one of the initial tenants in the new Virginia National Bank building (now Bank of America), moving onto the 16th floor under the new name of Crenshaw, Ware & Johnson. In 1989, Johnny Johnson decided to retire to his family homestead on the Eastern Shore. At that time, the firm’s name was changed to Crenshaw, Ware & Martin. In 1998, the firm celebrated its 75th anniversary. We remain grounded in the ethical principles that guided us throughout our history and are committed to the values, integrity and professional excellence that define our practice. In July 2011, after forty-three years at One Commercial Place, the firm moved to its current home in the SunTrust Building at 150 West Main Street. On September 26, 2013 Crenshaw, Ware & Martin celebrated its 90th anniversary with a special reception at the MacArthur Memorial Visitor Center in the heart of downtown Norfolk. The event featured displays about the firm’s history alongside the historical exhibits in the Visitor Center gallery. Edward R. Baird, Sr. was born in Essex County shortly after the end of the Civil War. He left the family farm and worked on the Rappahannock River to save enough money to attend the University of Virginia Law School. Upon passing the bar exam, he started practicing admiralty law in Norfolk, Virginia. In 1923, he joined with two fellow attorneys to form the law firm of Baird, White & Lanning with an office in Norfolk. The primary areas of practice in the early years were admiralty and railroad transportation law. Edward R. Baird was born in Norfolk, Virginia, graduated from Woodberry Forest School and the University of Virginia Law School. Following graduation from law school in 1933 he began the practice of law in his father's firm. He served in the Navy during World War II as an admiralty lawyer at the Atlantic Amphibious Force in Norfolk. At the end of World War II, he rejoined his father's firm of Baird, White and Lanning and began a distinguished legal and public service career. 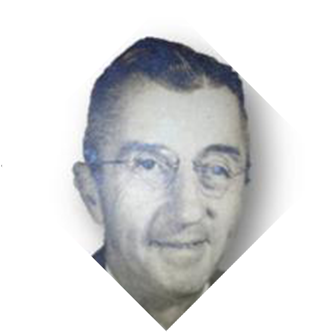 Mr. Baird was appointed as General Counsel for the Norfolk Redevelopment and Housing Authority and served a President of the Norfolk & Portsmouth Bar Association (1953 - 1954). Francis Nelson (“Frank”) Crenshaw was born in Washington, D.C. in 1923. He graduated from the University of Virginia in December, 1942 and upon graduation, entered the U.S. Navy, serving primarily on the destroyer U.S.S. Patterson in the Pacific. In June, 1946, after discharge from the Navy, he entered law school at the University of Virginia, receiving his law degree in 1948. The year he graduated from law school, he was president of the composite University of Virginia graduating class. 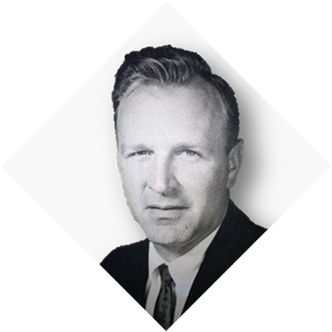 Frank came to Norfolk in 1950 and joined the law firm Baird, White & Lanning. He served as President of the Norfolk & Portsmouth Bar Association (1967 - 1968) and was a life Fellow of the American Bar Foundation, a Fellow of the Virginia Law Foundation and was appointed by the Governor of Virginia to serve on the Board of Visitors of Old Dominion University. 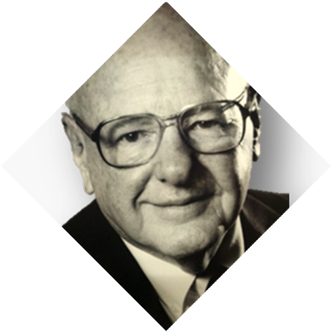 Mr. Ware now of counsel with Crenshaw, Ware & Martin, P.L.C., joined the firm in 1952. Upon completing active duty in World War II, he entered the University of Virginia where in 1949 he was awarded a B.S. Degree by the School of Commerce and in 1952 after serving as President of the composite graduating class he was awarded a L.L.B. Degree by the Law School. He is a former managing partner of the firm and retired from the United States Air Force as a Lt. Colonel. Mr. Ware is a recipient of the Eggleston-I’Anson Professionalism Award; Virginia Institute of Marine Science of the College Of William & Mary, Pathfinder Award; and the Barron F. Black Community Builder Award.